Celebrate the graduate in your life with this hand made Grad Cap greeting card. Perfect for all ages from middle school, high school, college and beyond and for males or females. 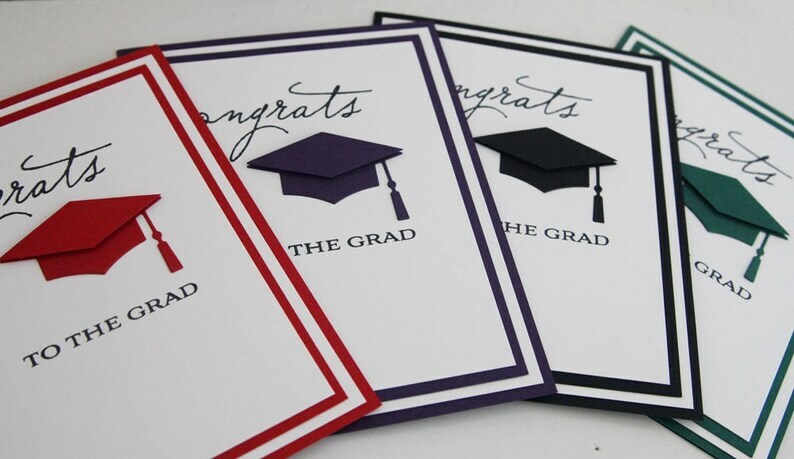 There are a variety of colors to choose from if you'd like to match the graduates school colors for their card. The graduate cap shape is cut out in a matching color to the base card stock colors. The sentiments are hand stamped in black ink for clarity. 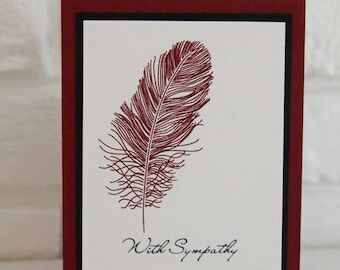 The inside of the card has been left blank for you to add your own special words. • Card measure 5.5 x 4.25 inches. • Metric size: 13.97 x 10.25 cm.